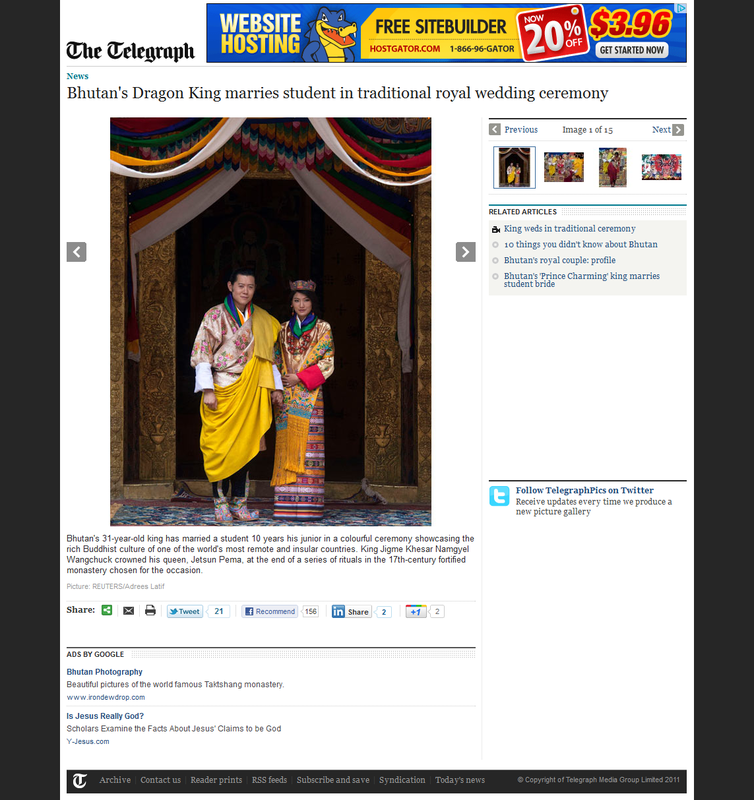 Recently the King of Bhutan married his bride, Jetsun Pema. Watching the ceremony taking place in Punakha, I heard Bhutanese wondering why the King was wearing floral brocade rather than one of his many handsome aikapur ghos, which they considered more typically Bhutanese. It turns out that he was keeping with matrimonial tradition by wearing the same gho that his father and grandfather wore for their weddings. Later when I was asking a master weaver about the motifs in the Queen’s kira, I discovered that it was woven for the wedding day, but the patterns were copied from her paternal grandfather’s gho. I enjoyed the parallel symbolism of their wedding outfits connecting them to their grandfathers. I also love the way women and men are both free to wear the same designs on their clothing, and only a very few patterns are exclusively worn by one gender. This entry was posted in Other Bhutanese Textiles and tagged Asian, Bhutan, Jetsun Pema, Kushutara, Textile, weaving, wedding by Wendy Garrity. Bookmark the permalink.